Toyota’s partnership with Mazda materializes in an amazing way as a Toyota rotary engine vehicle was displayed at CES 2018. The Toyota rotary engine will be acting as a range extender for an upcoming electric vehicle. 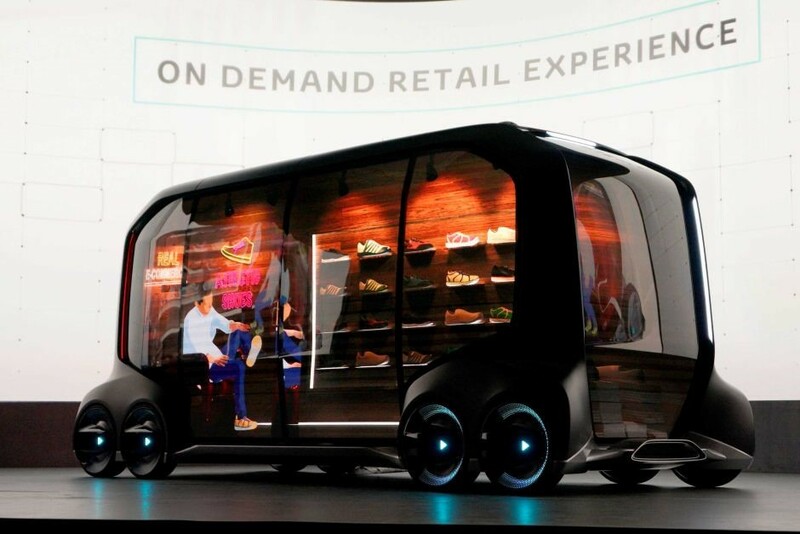 The vehicle, tentatively called the, “e-Palette Concept”, was on display in Las Vegas at Toyota’s booth. The concept car is being designed as a fleet vehicle, mainly for use as taxies, rental and deliveries. The word “palette” used in “e-Palette Concept,” mainly brings up the image of the board artists use to mix colors for painting. In the freight world, the word “pallet” signifies the wooded crates that items are place on top of for industrial shipping. 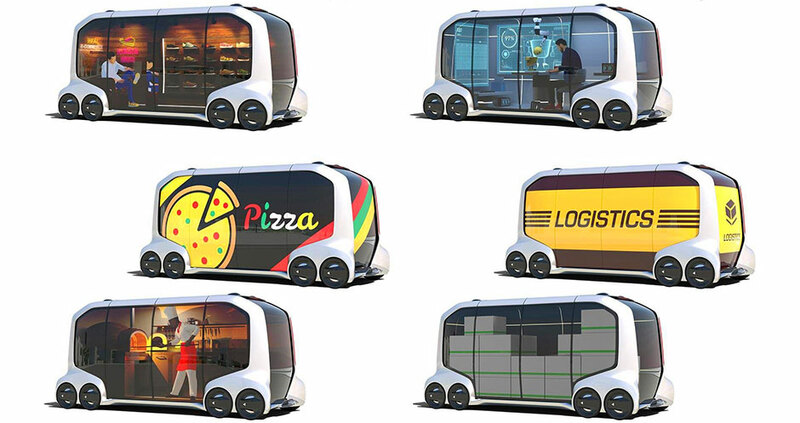 Toyota, using images from both, envisions the “e-Palette Concept” as a multi-use platform for gathering data and the transporting of goods and people. Although details of the electric motors and battery for the “e-Palette Concept” were not released, one example of the engines that will generate electricity for the vehicle is the side-mounted single rotor engine being developed by Mazda. Toyota has announced a fuel cell vehicle patent, the formation of Toyota Research Institute (TRI) in Silicon Valley, and futuristic vehicles called the “Concept I” at CES in previous years. One of Toyota’s projects at TRI is the research of fully autonomous driving system. Toyota plans to use the system they develop to power fleets for companies such as Amazon, Uber, DiDi, and Pizza Hut. Using data gathered from these fleets, Toyota plans on making their vehicles and deliveries more efficient, resulting in cost savings for their clients. Although other companies have announced plans for vehicles with cargo space that is adjustable to meet demand and use, Toyota is the first to put a timeline on their claims to have plans to put the vehicle in production during the first half of the 2020’s. There are also rumors of another partnership for the vehicle as Panasonic president, Kazuhiro Tsuga, was seen at the booth receiving detailed instructions from Toyota. Panasonic displayed an “e Power Train”, an electric motor, inverter and DCDC converter unit designed to power smaller electric vehicles, at their own booth at CES. Toyota president, Akio Toyoda and Tsuga held a press conference last month announcing plans on joint development of a new battery system for electric vehicles. At the time they mentioned that they would like to work together on other projects as well but refused to provide further details. The 4.8 meter long “e-Palette Concept” is being designed with 8 electric motors (4 front, 4 rear) but as different size models are added, a module unit such as the one being developed by Panasonic is looking likely. Panasonic had no comment when asked about a possible partnership on the unit with Toyota. At Japan Car Direct, we can source rotary engine Mazda’s such as the FC and FD3 RX-7’s and other performance cars from dealer auctions and used car dealers from all over Japan. Please contact us if you would like your own rotary powered JDM vehicle!